After the last ice age the sea level began to rise and the area of ground in what later became Dingwall and Castle Leod was flooded. 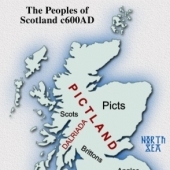 By the time the Vikings and the local inhabitants, the Picts, had settled in this area, the only low lying dry ground was in the areas of the Moot Hill in Dingwall and the mound that Castle Leod would be later built on. 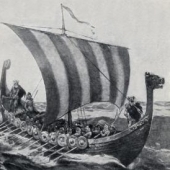 The Viking, Thorfinn II had based himself in the area having won the Battle of Torfness (c:1030) which took place on the slopes beneath Knockfarrel in which MacBeth slew King Duncan and subsequently took the throne of Scotland. 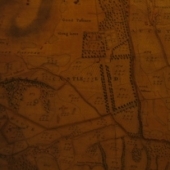 The former Pictish fort on the mound was replaced by the Norse Earls with a stone built keep in the eleventh century by Liotr or Leod or by his kinsman, Jarl Olaf. 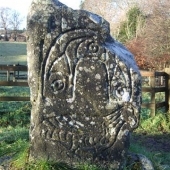 Both the hill behind the castle (Knock Aulaidh or Olaf’s Hill) and the current golf course (Ulladale or Olaf’s Dale) are reminders of the Norse presence. 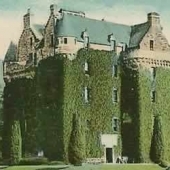 It is not known what further building work was carried out over the centuries except that by the late 15th century it looked much like it does today with further alterations carried out by the famous ‘Tutor of Kintail’, Sir Rory Mackenzie when the pitched roof and the current front door was added ,between 1605 and 1616. We think there was a lower storey to the old tower that was filled in, by Sir Rory’s who raised the level of the mound to it’s current level. The walls are in places 2.4m thick and taper toward the top. 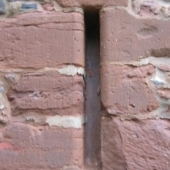 Gun loops and arrow slits line the walls, especially to the south and traces of a curved lower wall on the west are probably the remains of battering ram defences. Assuming a now buried lower story, the original front door was on the current first floor with access by a ladder and the gun loops and arrow slits would have then been much higher above the ground. Today they are more suitable for firing at peoples ankles! 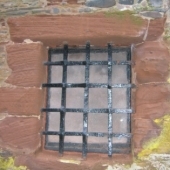 Some of the small early windows have iron ‘yetts’ a criss-cross of bars so arranged that they are impossible to remove easily. The larger windows are largely 18th century with two in the east elevation much earlier having the supposed earliest sash and case windows in the Highlands and possibly Scotland. Battlements and ornate corbelling extend around three sides of the tower and above these is the Ballachulish slated roof which was entirely replaced in 1991. To the north of the old tower are Victorian and Edwardian additions and unlike so many other castles the old tower represents an unaltered structure, the newer additions being neatly tucked behind it.